I have a treat for my readers today! I’m rounding up some amazing appetizers and eats for Game Day and I’m including links to all the fabulous printables for football parties I have on the site. WOOT! Who doesn’t love a good football party? Well, I cheered for over a decade, so football has been a HUGE part of my life. 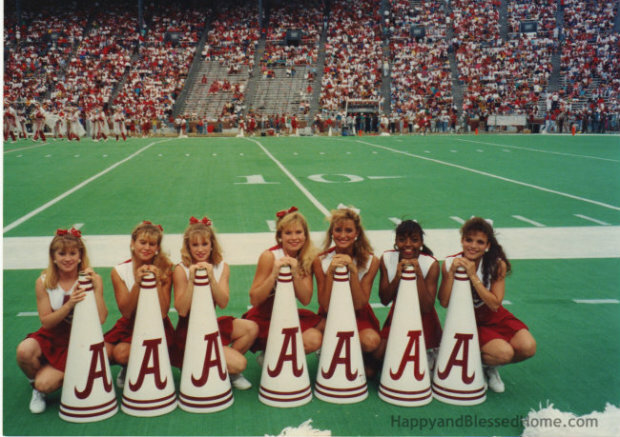 In fact, I even cheered the year the University of Alabama beat Miami in the SugarBowl when Gene Stallings was the coach. How’s that for a little game time trivia? My husband loves watching football and the boys are getting old enough to enjoy watching it too. So I figured, why not post a little round-up and share 10 Football Party Appetizers for Kids and Adults with FREE Printables with the readers of my blog. 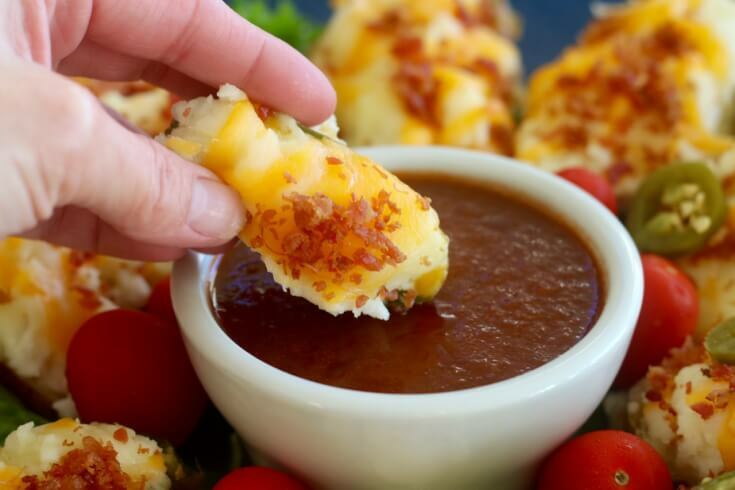 Bacon… It’s like cheating when it comes to appetizers for game day. 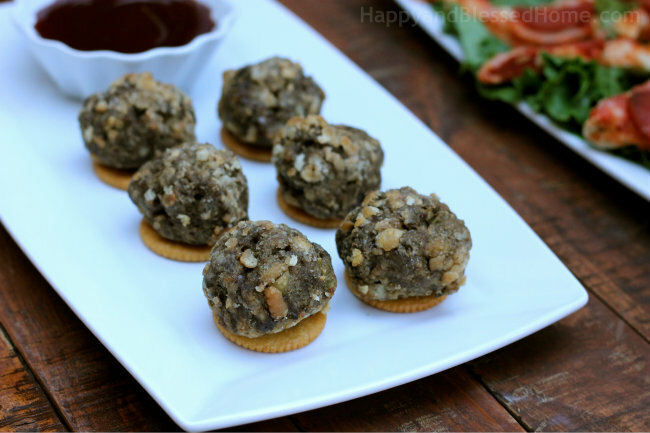 Looking for the perfect football party food? These twice baked potato skins and poppers are perfect for taste buds that range from mild to spicy. Now wimpy #appetizers here! If I could only make one appetizer. This would be it. The sweet buttery flavor of a Ritz, mixed with ground beef and garlic is so awesome, it’s my top pick based on flavor and ease of assembly. 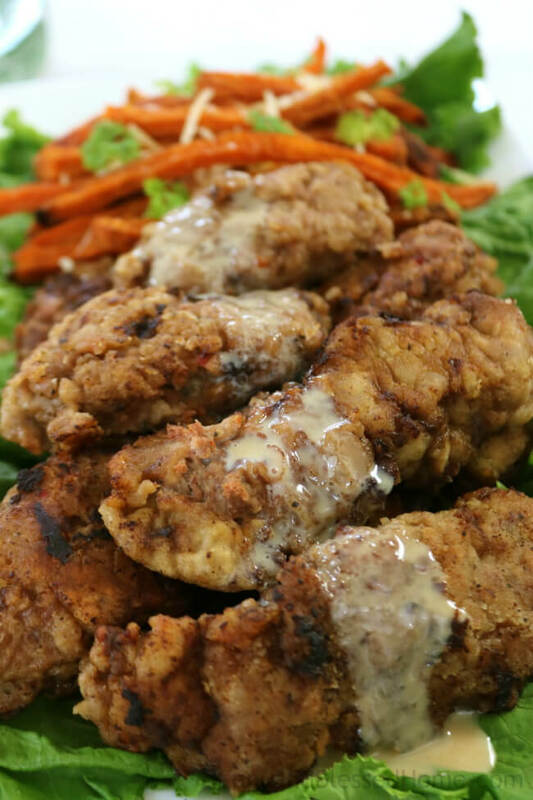 Drizzle with some sauce (your choice) for extra flavor. These Homemade Skinny Baked Tequila Lime Chicken Taquitos are tangy, juicy, and cheesy-good. Plus, I’ve created a fun “Football Party” banner and printable pack with napkin ring holders, football name tags, and football stickers for labeling cups and party decor. Now, what makes them “skinny”? Well, the chicken is cooked in chicken broth in a crock pot and the entire roll is baked. 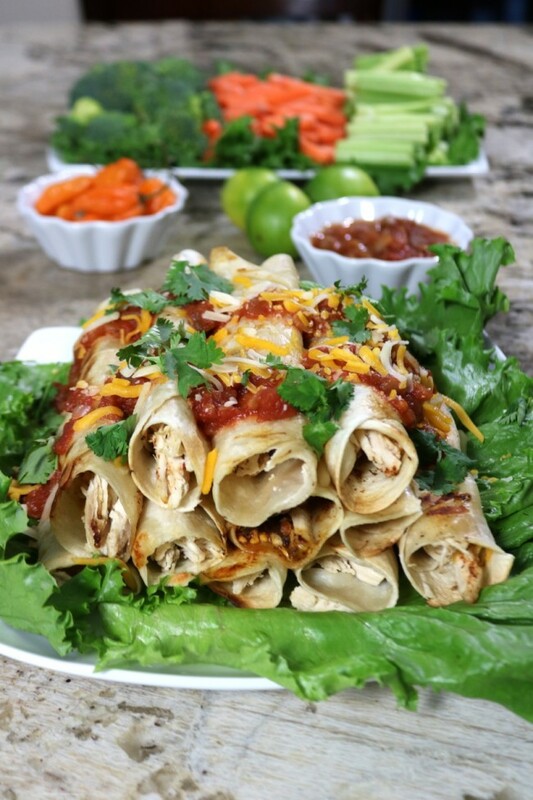 My husband doesn’t need to eat skinny – but he loved these baked chicken taquitos. 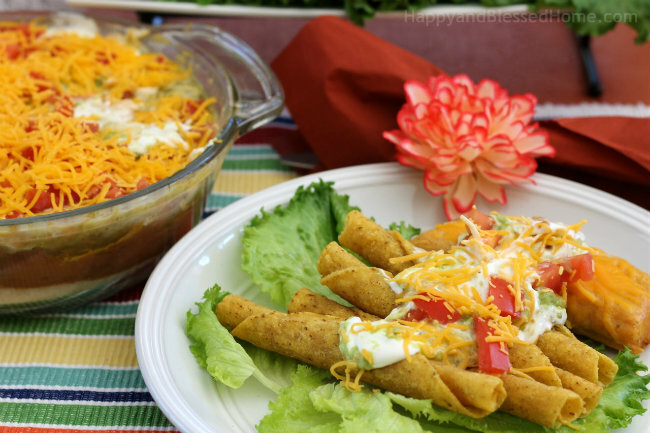 You don’t have to fry your taquitos to get loads of flavor with this dish! An open faced Tostada is the perfect dish for any family gathering or party, since each guest can top the tostada any way they like. 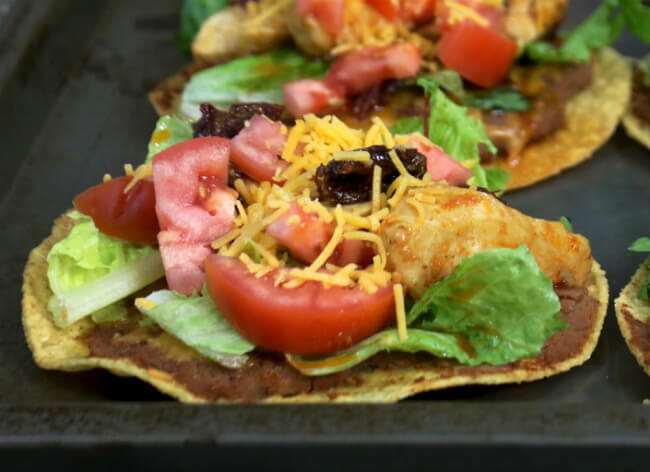 The Chipotle Pepper Chicken Tostadas pictured here have everything on them, but at home you can create a topping bar to make it easy for your guests to customize their tostada to match their personal taste. Why go for boring when you can easily make an appetizer that looks outstanding? For this football party and game day celebration, I decided to “pomp” a pineapple [it’s an Alabama tradition]. 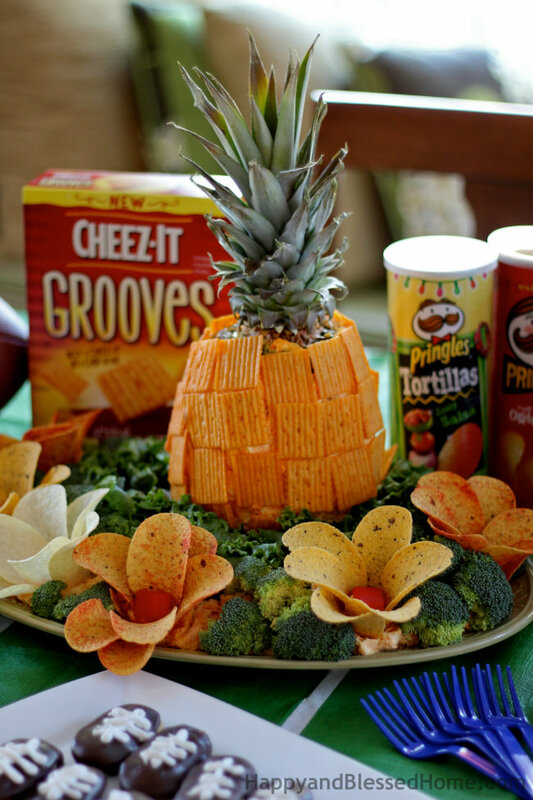 Taking the flavors of a yummy, delicious and fruity pineapple and turning them into a scrumptious dip seemed like the perfect way to create a memorable and edible centerpiece for our football party. This party food has been turned into a float with the rich cheddar flavors from Cheez-It Grooves crackers and the zesty and salty flavors of Pringles chips. I think it looks like a party float worthy of a Game Day parade. It’s easy to make and a fun and memorable centerpiece for any party! The recipe comes with free football party printables. If you’re hosting a football party, or if you’re a sports enthusiast like me (who doesn’t want to miss a moment of the game) you’ll love the football party tips and FREE printables I’m sharing. Plus, you’ll love my Tangy Fig Jam Recipe – perfect for dipping nearly any party appetizer into. It’s sweet and thick, but just soft enough for dips. 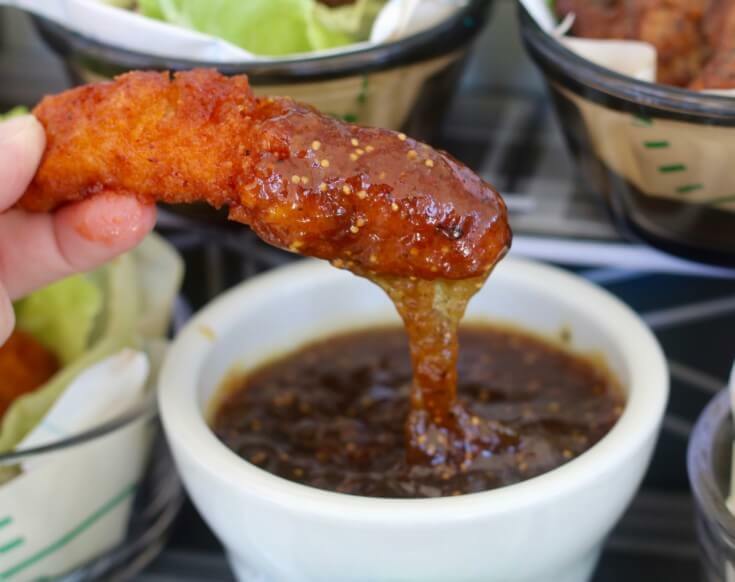 And, with a kick of ginger, this fig sauce serves up a new twist on jam flavor. Don’t let your dips be dull. This recipe satisfies the need for a bit of heat with your guacamole. Perfect with tacos, tortillas, burritos, and just plain chips! 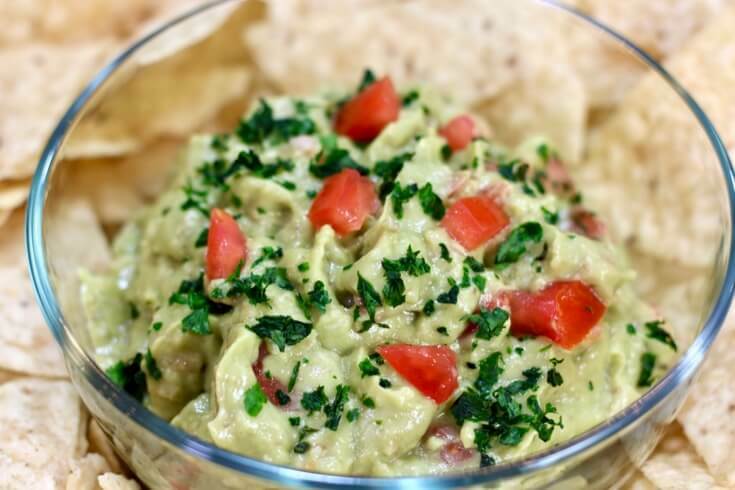 Spicy Piquin Guacamole is a must have for any family gathering, especially football parties. Since we’re on the topic of dips [to make appetizers outstanding] I must include my 7 Layer Mexican Dip. Yes, it’s the same dip my mother made when I was a kid and it tastes amazing with everything. 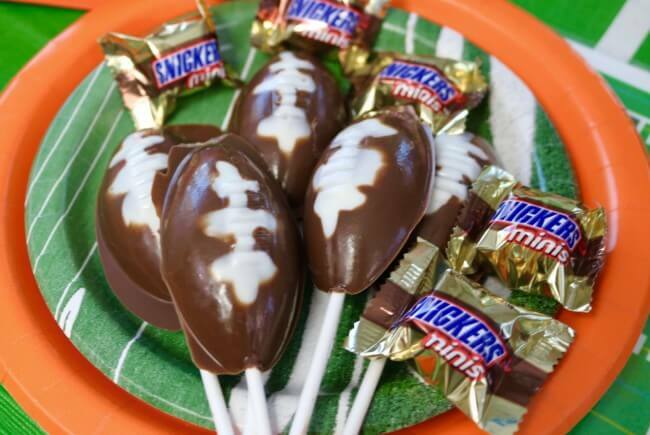 Oh, and this post has some awesome FREE Football Party Printables in it and a cute way to decorate with chocolate treats: DIY Football Stadium with Butterfinger Cups. Have any “Football Party” tips to share? How do you host a game day party? Do you enjoy watching football with family, friends or both? Have any awesome recipes to share? Leave a link below and let other readers at HappyandBlessedHome.com know about your awesome party food. I love connecting with readers and other football fans! Thanks for being a fan! Do you have a board for delicious food recipes, family meals on Pinterest? Help spread the word and PIN this post on Pinterest!